It took me a while to actually get round to trying this nail polish and now I've worn it, I can't beleive I hadn't sooner! 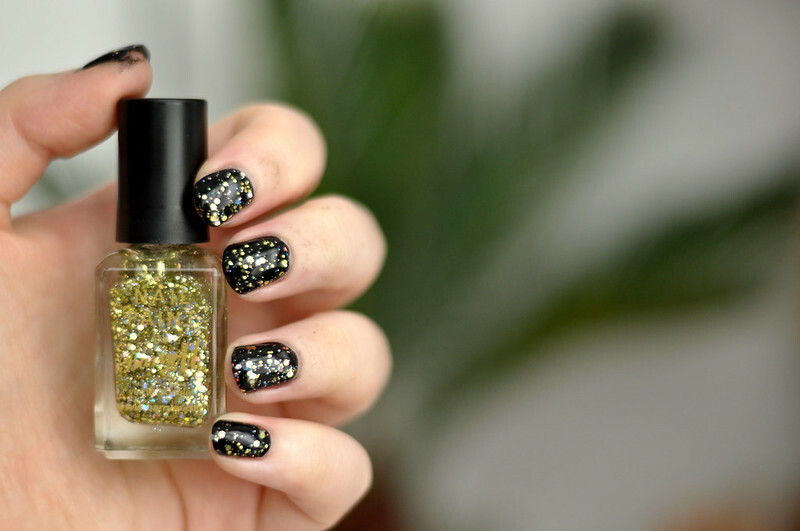 In the bottle this polish just looks like your standard gold glitter nail polish but once on the nails, especially over a black polish, you can see that it's packed full of holographic glitter as well. Although this is the smallest size glitter in the bottle, when the light hits it you can see all the different colours. I really like that there are different sized glitters as well as it makes it just a bit more interesting.